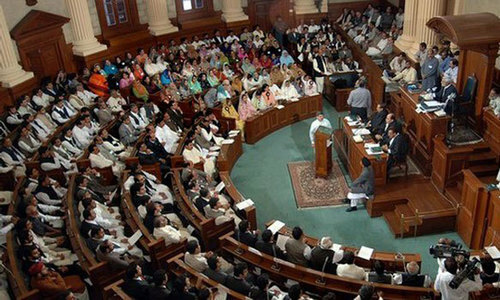 LAHORE: A large number of people in the city and adjoining districts spent the entire night and day without electricity, as the high-speed windstorm and rain badly affected the power distribution system that was hardly restored fully till 7pm on Wednesday by the Lahore Electric Supply Company. “Last night was, perhaps the worst one as we repeatedly visited the area office of Lesco to seek information about restoration of electricity. 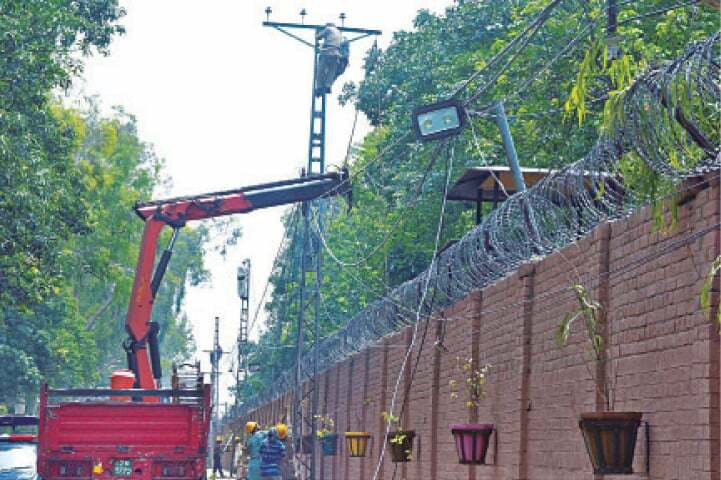 Finally, some line staff reached and rectified the fault at the feeder at about 8am,” Ishaq, a resident of Township, told Dawn. “But exactly after five minutes, the fault again occurred. Thanks God, the staff was there and after an hour, they succeeded in restoring the power supply,” he added. Tuesday’s windstorm and rain at about 6:30pm caused a massive destruction in Lahore and its suburbs, as a number of electricity poles, trees, power distribution lines, billboards etc were found falling on roads, streets and open places. A majority of Lesco field formations faced difficulties in removing the fault and restoring the light due to lack of adequate equipment, safety gadgets and other material required. The people in various subdivisions surrounded the Lesco’s complaint desk officials. “We are here for the last one hour. But you are not registering our complaints. How can I register complaints of all of you since there is no light almost in the city. So you go back to your homes, as our men are already busy in energising the feeders. At this crucial time, we cannot entertain the complainants other than those affected by the weather as we have not sufficient manpower, material, equipments etc,” a consumer quoted exchange of some arguments between a complainant and a Lesco official in an area office. According to official sources, the rain caused tripping of as many as 850 of the total 1,300 distribution feeders of Lesco. The company claims to have energised around 300 of the 850 till 12am and the rest 550 by 4pm on Wednesday. “The storm badly hit Lahore, as it affected operation of 850 of the total 1,300 feeders. Another 400 feeders, which fall under industrial category, were already off officially due to daily loadshedding from 6pm to 4am for the industry. It means there was no light in 80 per cent areas of Lahore and its adjoining towns,” explains a senior official of the company. He said besides tripping of the feeders, the windstorm also broke the 11kV and 132kV lines originating from various grid stations. This occurred after the trees fell on the lines, suspending operation of some grid stations. “Fatehgarh, Shalimar and some other grids in Lahore stopped working after trees fell on several distribution lines. It added troubles for the officials in restoring light within a short span of time,” he said. 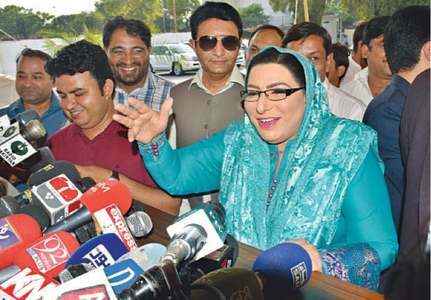 After disruption in a major portion of the distribution system, Lahore’s demand, which touched the highest ever figure of 5,000MW at 2:30pm on Tuesday, reduced to the lowest ever 600MW [after the windstorm]. So the situation alarmed the field formations. On the other hand, reports pointed out many areas where the light was finally restored till 7pm. These include Lawrence Road, Ichhra, Lahore Cantt (Sarfraz Rafiqui Road), Madina Colony (Walton Road), Manga Mandi, Chuhng, Shalamar. However the light in the areas of Township, Johar Town, Salamatpura, Shahdra, Cantonment, Burki Road, Multan Road, Marghazar Colony, Sodiwal, Chauburji and Harbanspura remained suspended. “We restored the power distribution system till 1:30pm. The Lesco faced too much loss due to windstorm. And we pay thanks to the people for their patience,” said a press release issued by Lesco.